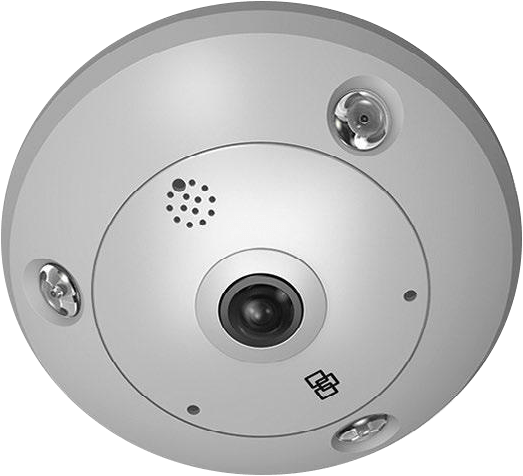 Ideally suited for a variety of applications including retail, commercial, law enforcement and education environments, the TruVision 360o network dome camera provides high-quality image capture, that delivers a complete view of indoor or outdoor areas for exceptional security coverage. Supporting 3MPx sensors, these cameras are PoE 802.3af powered making installation as easy as running a Category 5e cable to the camera location. Particularly effective in areas where a wide area needs to be covered, such as intersecting corridors, parking garages, counters and warehouses. The 360° camera can also be used in a wall-mount configuration to capture panoramic scenes. With an IR range of up to 10m, they can also be used in low-light environments and for 24/7 exterior surveillance. Extra mounting accessories are available for pendant mount and wall mount installation. The cameras can be used with our TruVision NVRs and Prism.